Ladies short sleeve dress by Rival. 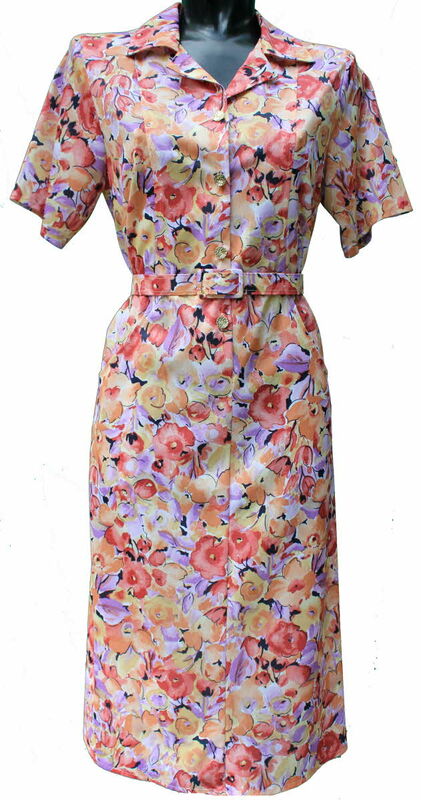 Orange & Lilac floral 44"
Short length. 44" back of collar to hem. Available in UK size 28 left!